planetf1.com • View topic - Does anyone use a steering wheel when playing? Does anyone use a steering wheel when playing? Post subject: Does anyone use a steering wheel when playing? I use a G27 wheel when I play online in Gran tursimo 6. I always wonder do the guys competing against me use steering wheels or a controller and which one of them is faster to use? Do you guys use a wheel? Post subject: Re: Does anyone use a steering wheel when playing? I use a controller purely because I don't play enough to justify the expense of a wheel. From what I've read a good wheel like the G27 will shave a few seconds a lap off your time from the first time you use it and you'll only get better from there. I bought a cheap ($40) wheel on special a few months back on special but took it back that same day. Without force feedback a controller is better than the wheel. That cheap vibration feedback wheel was undrivable. I bought a Driving Force GT recently mainly for use in the GT Academy, and the difference was massive. If I was 10 years younger and single I'd keep the wheel out, but with a family and limited space it's now back in the loft! 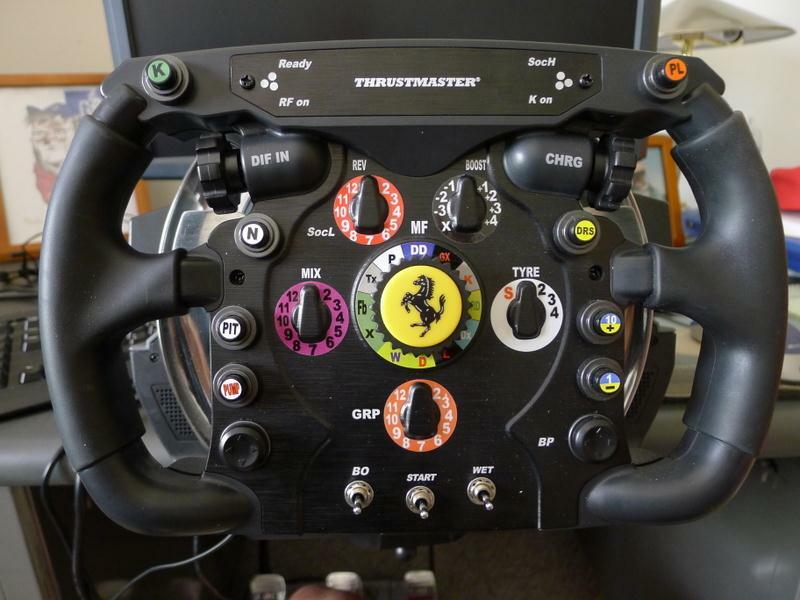 I've always been a pad user and still play F1 2013 with it - I didn't use the wheel with F1 - but can guess the difference would be just as big as with GT6. I use a Logitech Driving Force GT, bought it for £75 (brand new) and it has worked flawlessly every time I have used it. Definitely a wheel and pedals. Over many years and multiple games, I have tried keyboard, joystick, game controllers, and finally wheels. There is nothing like it, or gives you as much pleasure. When you use anything but a wheel you know and feel that you're sitting in front of a monitor and manipulating controls. But with a proper wheel, game, and seat, it all changes. You are in the car, you are driving the car, and the real world disappears. For me personally, I use only realistic settings, all aids are off. I also use only one viewpoint, from the cockpit. Initially, it is difficult to adjust, but after a while the skill level increases (with no aids, no choice but to master the darn thing) and you find that you can go much quicker than with anything else. Suddenly you find you're consistently drifting through the apex, hitting the curb exactly as planned, and searching for traction with the right foot as you power out to the outside of the corner. But I have to caution you, it could get addictive and thus expensive. Just like a golfer who finds himself upgrading to new clubs every few years, that is what happened to me. It's not that I just jump from one to another, each stage takes quite a few years. But I started with a Thrustmaster T1, no force feedback, the wheel was centered by bungee cords. I learned what I wanted, and when it came out, I stepped up. And so on and so on. So my present setup has a little motor mounted to the brake pedal that vibrates, just like feeling wheel chatter. And my wheel has little motors that do the same job, and when I run over a curb (combined with force feedback), no kidding, I'm lost in the game. I had the Logitech G27 for a while. Way better than any gamepad obviously. It was just a pain to have in the way so I sold it. If I had a huge mansion and a dedicated game room I would build something cool like Blinky McSquints posted. There is always a solution to be found. When I was building my rig, I "discovered" that a racing rig is two distinct elements, the seat, and the footwell that mounts the pedals and wheel. The good part is the the seat does not require any connections, while the footwell contains all the components that have to be wired together. For me, I built my rig in two parts, and connect them together with simple latches. When I want to race, I pull out my rig, and within 60 seconds (actually timed it) have everything up and running. When I'm done dissasembly is simple, and it can be stored on a footprint of three feet by three feet. They can stack on top of each other, and they take up very little room. It ain't pretty, but works incredibly well, is portable and takes up very little storage room. I even put little castors under the seat to make moving it around a lot easier. Until we win the lottery we have to make do with what we have. 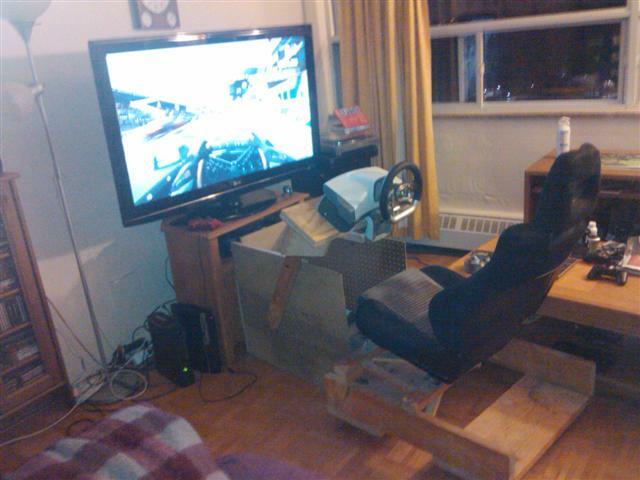 Yip I use a wheel and made a setup useing a mini race seat and parts from a workmate bench and ply wood its more or less a copy of the redbull seat . Ho and blinky thats bloody ace! I can say with absolute certainty that someone uses a steering wheel when playing. Are there any force feedback wheels available that are compatible with the xbox one and have flappy paddles rather than a sequential/manual gear stick? The Thrustmaster TX Racing Wheel Ferrari 458 Italia Edition ($323) has force feedback and paddle shifters. The Ferrari 458 Spider Racing ($99) is compatible, has paddle shifters but no force feedback, but bungee cord centering. Not recommended, I had a Thrustmaster with bungee cord centering, wore it out. And there are some cheapo wheels on the market, the HORI for 85 bucks. http://www.amazon.com/HORI-Racing-Wheel-One-Xbox/dp/B00L6AVN6S/ref=zg_bs_6469287011_3 Not recommended. The only decent wheel I can recommend is the TX, but it's expensive. 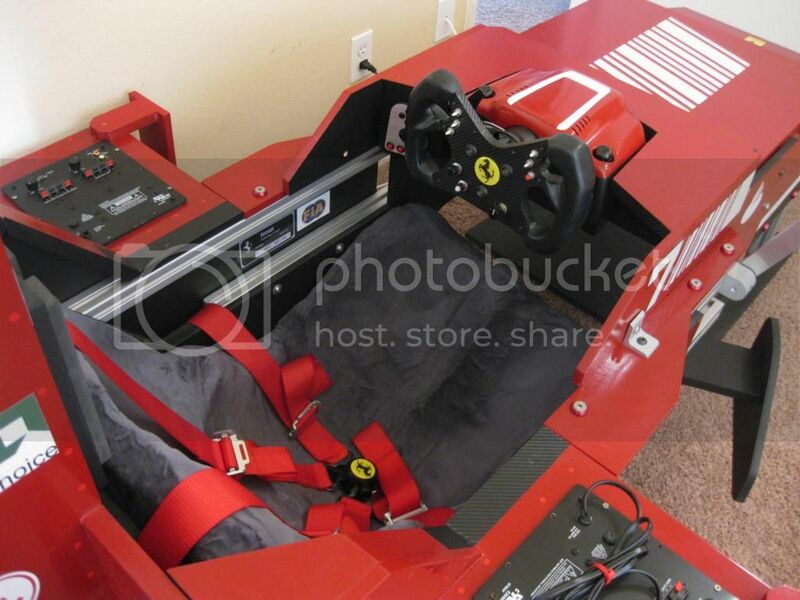 But to add motivation, you can purchase an added wheel, the Thrustmaster Ferrari F1 wheel ($198). But that is a killer combination. I had a Ferrari 458 bungie cord wheel for the 360, it was find for cornering but when the cord was loose going straight it was overly twitchy. I hoping to get one for less than the £290 price tag it's got on Amazon in the UK, it's also got a lot of comments about it's quality as well. Guess I'll wait until a cheaper one comes out. Have a look on Amazon on Black Friday, they might have it for a cut price. Also as a heads up, wheels compatible with next gen consoles will hold their value because MS and Sony are being really, really funny about security protocol over USB after the PS3 got hacked that way, so good quality wheels will be hard to find. It's so bad, Logitech, who made a wheel specifically for Gran Turismo (The Driving Force GT), has said that they will not be making any modifications to its existing wheels (and might not make any for PS4), so none of them will work. Don't know if UK Amazon does black Friday? We don't usually get in in UK high street stores. Amazon does, or at least it has for the last 2 years. They have sales the whole week. I use a G27. I hardly played in the last 3 years as i have had 2 children. I still have the F1 2013 game sealed in its box. Like others in this thread have mentioned it is not practical for me to have it permanantly set up. But it is a pleasure to play with. It is much more precise. I just played F1 2012 this weekend and i just makes playing the game that much more rewarding for whatever little chance i get. This has become an issue for sim racers, that some wheels and consoles do not work together. I can only recommend that before any purchase is made, that you do the homework to determine if the wheel will work with your console. Recently upgraded to a G27 (they were/are £180 on Amazon atm), and there is a huge difference in quality compared to the DFGT. You mostly feel it in the pedals, as they are metal, and have an actual resistance to being depressed, so you get much better feel as to where the locking point is. I use a Thrustmaster TX nowadays - works on both console and PC.